Gosh, panda bears really have the life. They get to spend their days lounging around in the forest, eating a nearly endless supply of their favorite food, bamboo. What little time they don’t spend munching on their favorite snack, they spend taking naps and playing. Not only that, but they’re big, cuddly, and they have those adorable eye patches on their face. If we had just one wish, we’d wish to become a cute panda bear. Of course, we’ve yet to find a genie to grant that wish, so we’ve had to resort to other means to look like a panda bear. We did what we do best and that’s why we got this fluffy panda kigurumi! It’s the best way for you to transform into a cute panda bear without needing some sort of magical powers to do it! This panda kigurumi is an adult size, Japanese-style pajama costume that helps you look like the iconic animal. The suit is made out of an extra-soft fleece material, making it comfortable as sleepwear. It fastens with buttons down the center of the suit and it features the black and white pattern of a real panda bear from the wild! It also has an attached hood with plenty of panda details on it. It has a pair of soft ears on top, an embroidered mouth and cute panda eyes on the front. Just button it up and you’ll be ready for a party, or a nap! 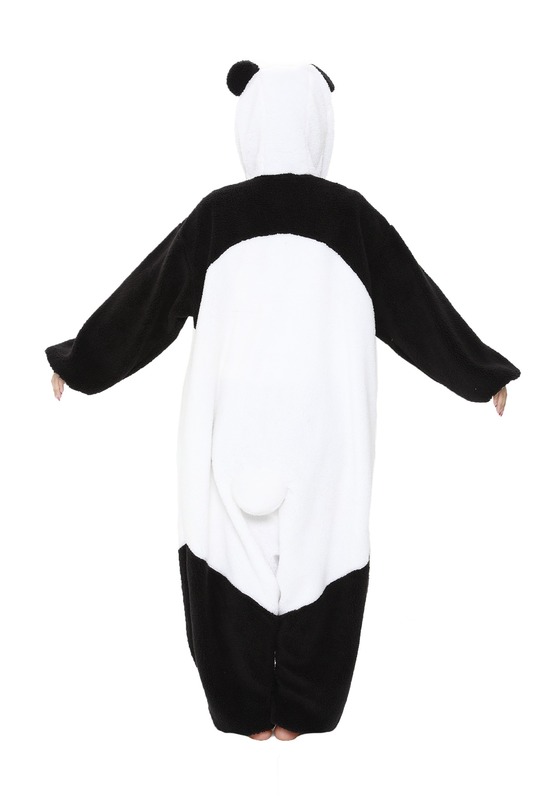 If you’re trying to live like a panda for a day, then you’d better be wearing this fluffy panda kigurum! 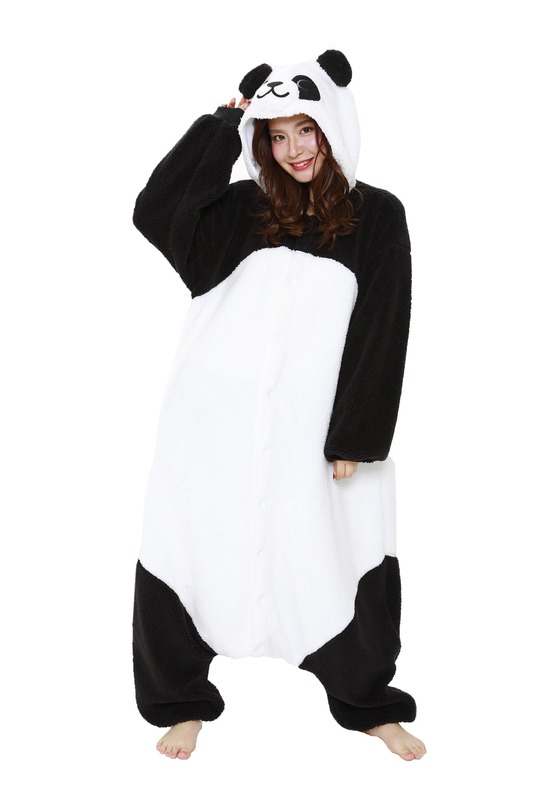 Of course, if you’re headed to a costume party and you want the most comfy outfit possible, then you’re also going to want this ultra-cozy panda kigurumi!